Is there any more rewarding feeling after a long day of activity than kicking back at a fantastic hotel? Whether it be grabbing a drink, dozing in your room, taking a dip in the pool or getting a massage, a hotel that feels like a relaxing oasis is one of the great rewards of traveling actively. We take our hotel selection seriously. Our goal is for our trip hotels to capture the heart and soul of the destination travelled: a cozy cabin in The Rockies, a resort and spa on a tropical island, a grand castle in France. Here are ten of our favorite hotels that exemplify rich character and charm. 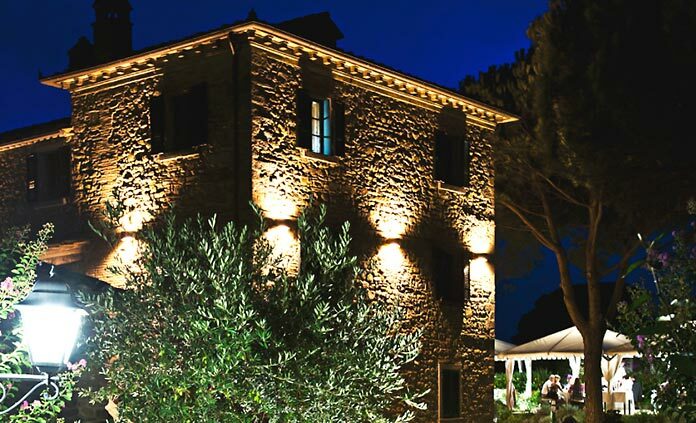 It's time to channel your inner Diane Lane and escape to an ancient villa under the Tuscan sun. Trust us, staying at La Corte dei Papi is as picturesque as you could imagine. A stunning country house dating back to the 1700s, La Corte dei Papi is a home-turned-hotel where family tradition and warmth is palpable. The family-owned property is still run by son David Papi, who is well known for his exceptional hospitality and graciousness. Luckily both our hiking and biking trips in Tuscany & Umbria stay at La Corte dei Papi, so just choose your activity and let the Papi familia take care of the rest. 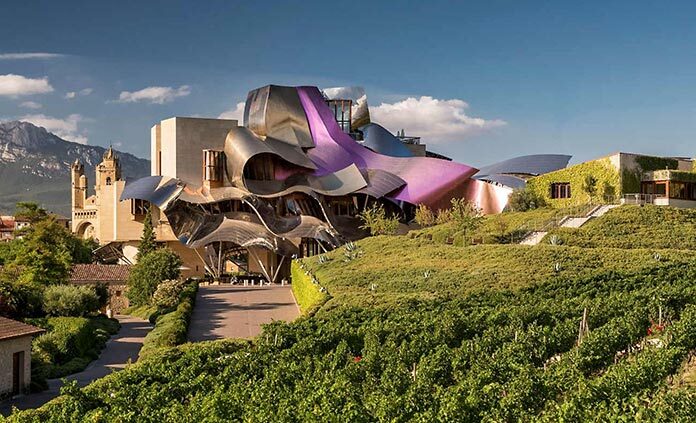 An unmistakable design of architect Frank Gehry, this hotel features "tilted walls, zigzag windows, cathedral-height ceilings and a host of bespoke details [which] create the impression of accommodation as a work of art." From the outside, the insanely modern design strikes an indescribable juxtaposition against the medieval town of Elciego. But once inside, the simple design allows you to look out onto the ancient architecture and surrounding vineyards and escape reality. Just when you think it can't get any better, there they go serving Michelin starred cuisine. 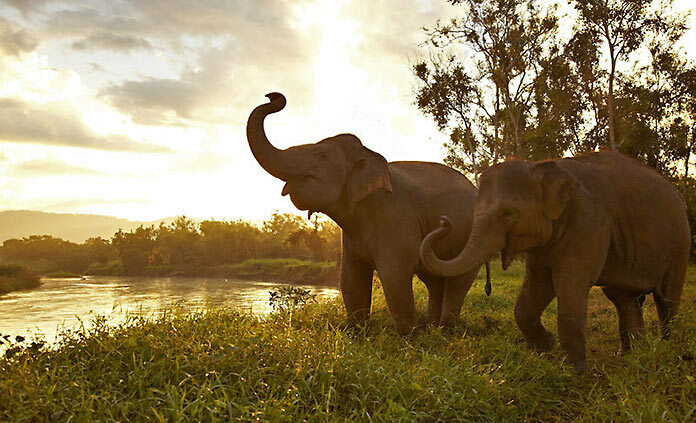 Imagine this—a resort in Thailand, overlooking the Mekong River, a stone's throw from Myanmar and Laos, with Thai elephants roaming around the property. Now imagine that this place exists, and we stay there on our Thailand trips! The elephant refuge on-site serves as an opportunity to interact with and learn about these gorgeous animals, plus the hotel staff treats their guests like V.I.P.'s. Time and time again, people fall in love with this hotel and describe it as "magical" or "what dreams are made of. " 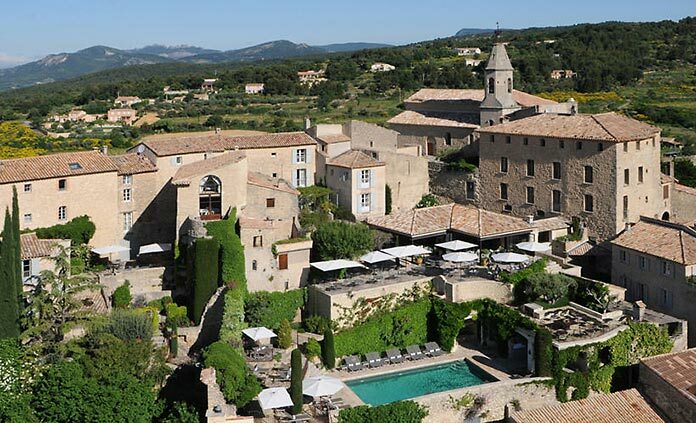 While most hotels are in a village, Hotel Crillon le Brave is the village. This Relais & Châteaux is intertwined deeply with the people, culture, and history of the small stone-clad town of Provence. You'll either stay in the main building of the hotel, perched high on a hill with sweeping views of vineyards and the famous Mount Ventoux, or in suites down in the village. Everything about this place is simple yet luxurious, comfortable yet exciting. The Gilpin Hotel is definitely world class; its homeliness, intimacy, and attention to detail are unparalleled. 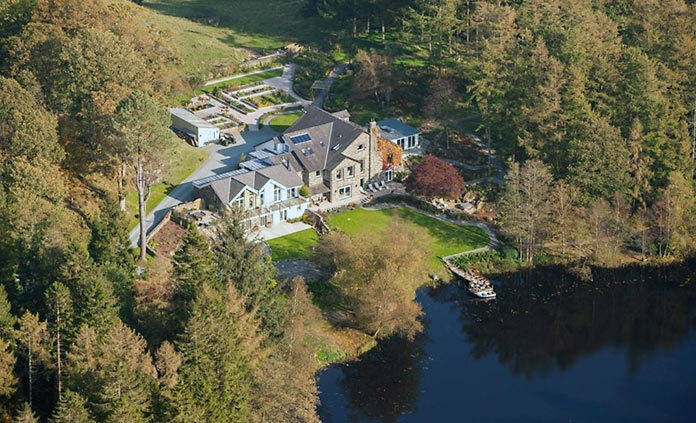 Priding themselves on a modern and astute interior design, The Gilpin has thirteen detached lodges each of which are either equipped with a cedar-clad private spa or a private English garden. Regardless of which lodge you stay in, the entire property gives a sense of seclusion and serenity amongst England's idyllic Lake District. If you've ever dreamt of sleeping in a whimsical cave, you're in luck. 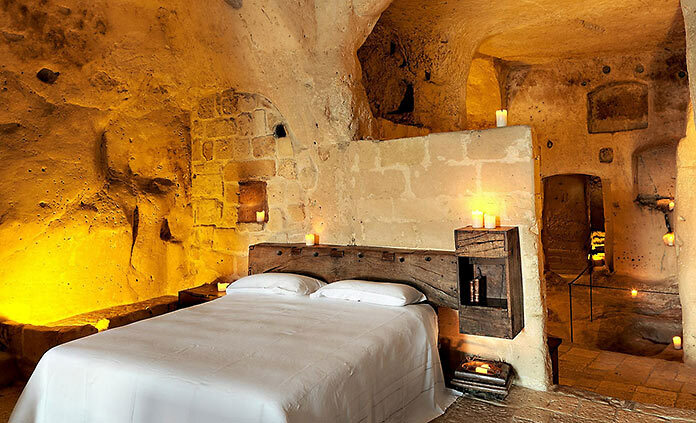 Le Grotte della Civita in Southern Italy is a boutique hotel built into nearly untouched medieval caves. The staff strives never to compromise service or luxury while still protecting the ancient tradition. They manage to offer unbelievable comfort and privacy all the while providing a unique, once-in-a-lifetime experience for all who stay here. 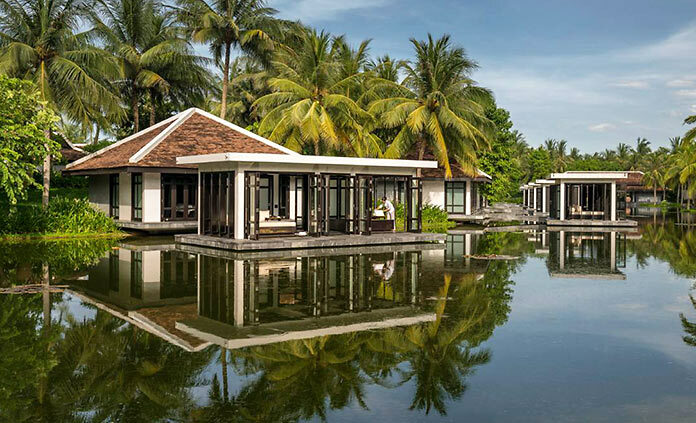 A Four Seasons Resort situated on a private one-kilometer beach in Hoi An? Yes, please. The Nam Hai Resort preserves so much of the regional culture, and amplifies a dependence on water for life and restoration. The spa is perched upon a lotus pond giving the illusion of walking on water. There are three separate beach-front infinity pools as well as direct access to what Forbes calls some of the "best beaches in the world. Four Seasons Resort The Nam Hai is a harmonious ode to coast, culture and community in Vietnam's UNESCO-strewn centre." Originally an 18th century paper mill, Hotel A Quinta da Auga is easily the most fascinating hotel of Northwest Spain. 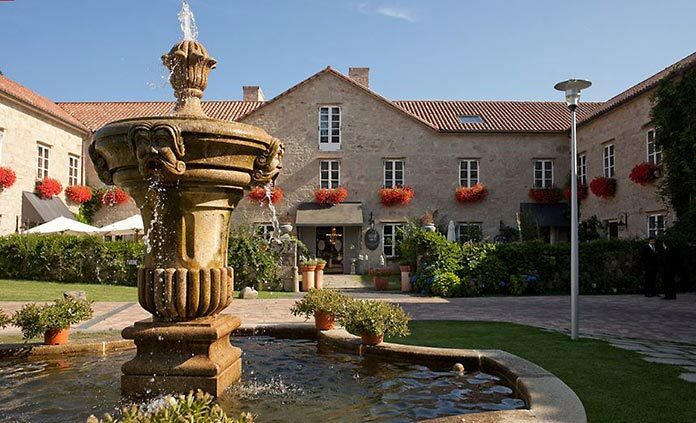 Travelers embarking on the Camino de Santiago trail spoil themselves with a stay here, taking advantage of a boutique hotel delicately intertwined with nature. Rave reviews of the property mark it as extraordinarily elegant in the perfect, untouched setting. 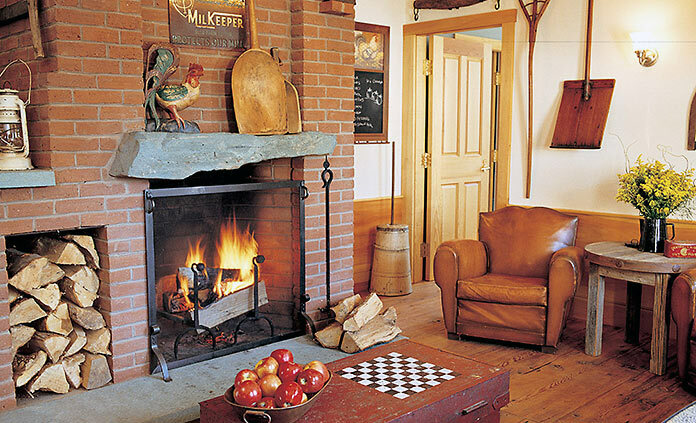 The Pitcher Inn epitomizes Vermont's rustic charm: warm, quintessential, unparalleled hospitality. If you are unfamiliar with Vermont, you'll quickly recognize that they march to the beat of their own drum. The entire state slows way down and embraces a beautifully simple lifestyle. Hospitality at the inn feels so genuine and authentic—they make you feel welcome with a combination of professionalism and personal touch. You are sure to fall in love with El Silencio, where luxury meets eco-friendly sustainability. 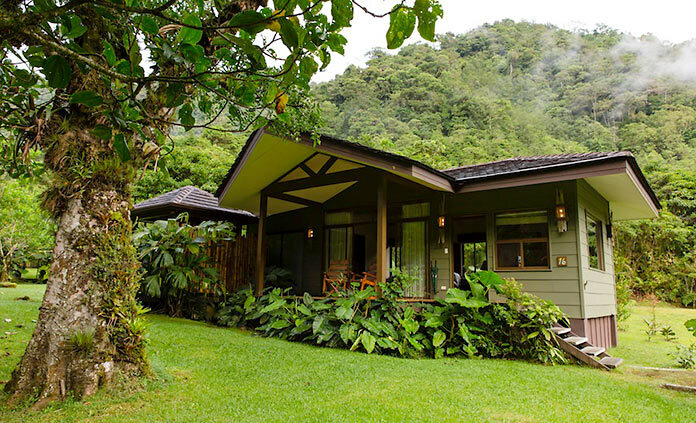 El Silencio is Central America's first Relais & Châteaux sitting deep within Costa Rica's tropical cloud forest. The property was built on repurposed grazing grounds in order to avoid chopping down additional trees. Roaring waterfalls, vibrant wildlife, and an exceptionally friendly staff will welcome you here, providing much-deserved tranquility and relaxation after a full day's adventure.